1.Equipment should be clean, strong, lubricated, anti-corrosive, safe, etc. 3.Evaluation and evaluation of the maintenance of the workers. 4.Operate and maintain in strict accordance with the equipment manual provided by the Sun Welder. 5.Prepare the installation site in strict accordance with the requirements. 6.Provide the required power and water source. 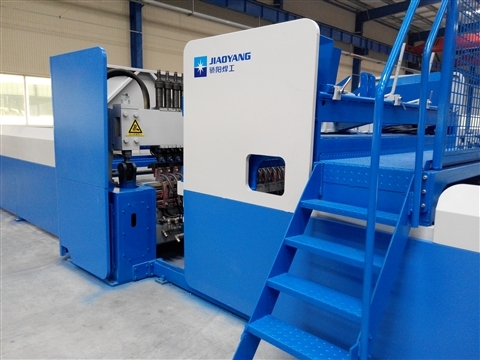 7.The reinforced wire mesh welding machine should be used in the workshop, and the working environment will directly affect the performance and service life of the equipment. Our company provides the technical information required for equipment installation, and assigns technical personnel to guide the equipment installation and commissioning work, and is responsible for the equipment operation and maintenance training for users.